Dr. Ibrahim Khan received his M.Sc. (2010) and M.Phil. (2013) degrees in the field of Applied Physical Chemistry from the University of Malakand. 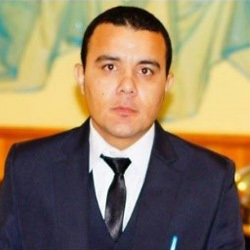 After completion of Ph.D. degree (2018) in Physical Chemistry (with energy-oriented research) from the King Fahd University of Petroleum and Minerals (KFUPM), he joined the Center for Integrated Petroleum Research (CIPR), College of Petroleum Engineering & Geoscience (CPG), KFUPM as a Postdoctoral Fellow to pursue his research in nanomaterials synthesis via Advanced Wet Chemistry techniques for Oil Field Applications. His research interests include the designing and synthesis of advanced nanomaterials for energy-based applications, mechanistic studies, and computational modeling of materials, etc. In addition to various conference presentations, he also coauthored more than 30 research articles in well-reputed Scopus indexed journals under ACS, Elsevier, Springer, Wiley, and Nature publishers. Owing to exceptional research outcomes, his Ph.D. thesis has been nominated for the prestigious Al-Marai Award by KFUPM. Lately, he has also acquired several distinctions and research productivity awards. M.Sc. (Chemistry), Thesis title “Adsorption of Phenol on the Surface of Modified Banana Peel”, University of Malakand, KP, Pakistan, 03/2010. Ibrahim Khan, Muhammad Mansha, Jafar Muzamdar: “Polymer Blends”. In: Jafar Mazumder M., Sheardown H., Al-Ahmed A. (eds) Functional Polymers. Polymers and Polymeric Composites: A Reference Series. Springer, Cham, (2018). Poster Award Winner in International Conference on Sustainable Energy Technologies, arranged by US-PCAS-E (09/2017). Poster Award Winner in Research Poster Day arranged by KFUPM and ACS Arabian Chapter (01/2017). Research Assistant in NSTIP funded Project (awarded by National Plan for Science, Technology, and Innovation (MAARIFAH), project code: 13-NAN1600-04. Selected as Research Associate in HEC funded Project, code: 20-1470/R&D/095880, entitled: “To Study the Effect of SWNTs on the Properties of PBT Polymer”. Gold Medalist in B. Ed. (05/2012). Attained One-year Lectureship in Chemistry under Nation Internship Program (NIP) from the Government of Pakistan for the year 2010.